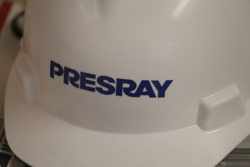 Everything we do at Presray is about safety and protection. Our products include a broad array of watertight and airtight doors and other critical containment and security solutions. We protect everything from small businesses to large industrial facilities. It all started in 1955 when Presray developed lifting devices for the aerospace industry using large inflatable rubber seals. We soon applied this same expertise in critical engineering to develop watertight doors and barriers. Our pioneering leadership was shaped by the stringent demands of the aerospace and nuclear industries. Today, Presray protects hundreds of businesses, academic and civic facilities. Whether it’s providing flash flood protection to keep a Main Street business in business or providing complex systems for nuclear power plants, BSL4 research laboratories or cleanrooms, we take the same rigorous approach across hundreds of applications. Functional requirements are changing faster than ever for all facilities, large and small, and it’s important that we help you stay ahead of the curve. At the same time, the aesthetic requirements and range of offerings for many of our products, such as our laboratory doors, are becoming more important as architects and facility owners demand that the products that protect their facilities look as good as they work. Unlike many companies in our industry, our staff of professional engineers handle product testing, training and demonstrations at our onsite Presray Testing and Training Center in Wassaic, New York, USA. Additionally, many of our flood protection products have been tested and certified by FM Approvals. The “FM APPROVED” mark provides tremendous peace-of-mind by signifying that a product conforms to the highest objective standards of quality and performance. As critical containment systems become more complex and integrated, including the use of biometric security and access control systems, our Testing and Training Center also provides end-user training and demonstrations. All of the above capabilities reflect Presray’s ongoing commitment to work closely with our customers to protect and secure their facilities from the uncertainties and challenges of tomorrow. Find out what Presray can do for your facility.